Clean, low-mileage examples of the MZ 1000S pop up for sale from time to time and, since most were silver, I always have to dig back through our archives to see if it’s one we’ve featured recently. 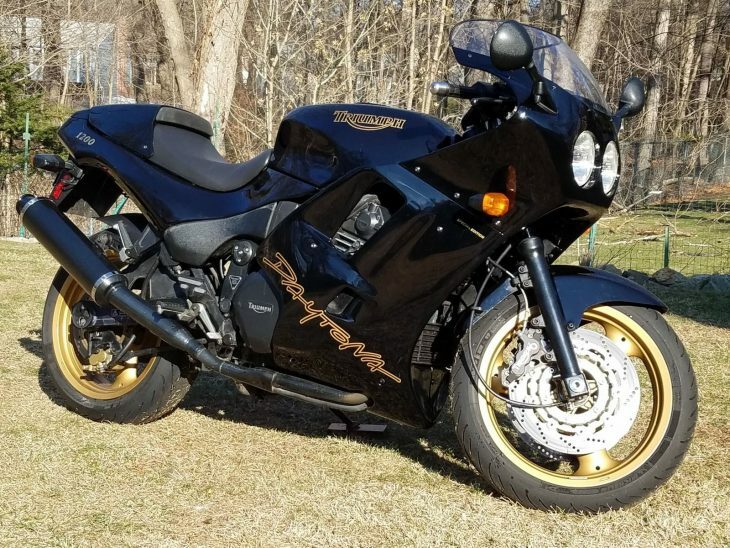 Also, I get the feeling they’re hard to shift and the same listings seem to pop up again and again for sale, which is a shame considering how competent a motorcycle it is. After a moderately successful attempt at a comeback in the 90s with a range of practical, accessibly sporty motorcycles based around Yamaha’s five-valve 660 single, MZ decided that, if you’re going to go low-volume, you should probably go upmarket. 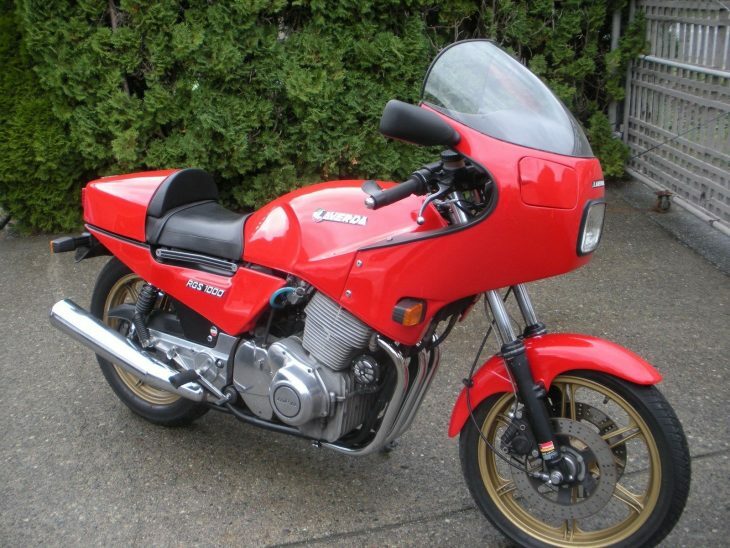 The striking MZ 1000S was the result, but the only exotic vibes were the ones produced by the unusually large parallel-twin engine, and performance wasn’t really backed up by the bike’s angular looks. 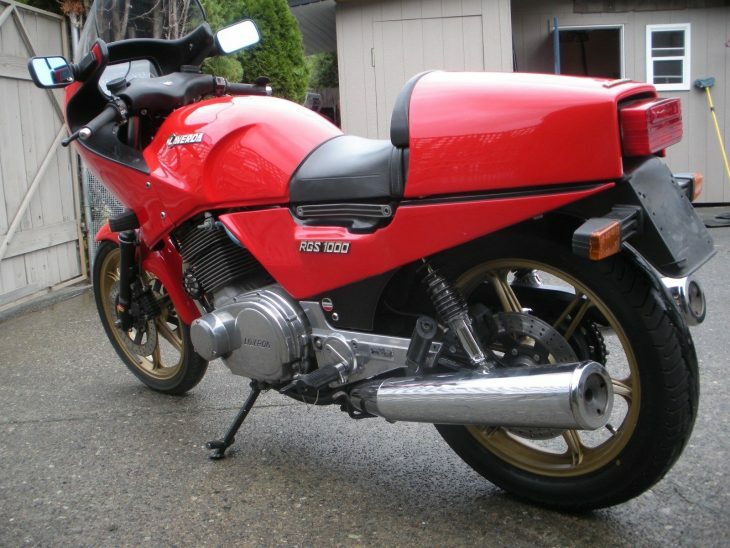 Neither the 1000S nor its half-faired stablemate the 1000SF "Streetfighter" sold very well. 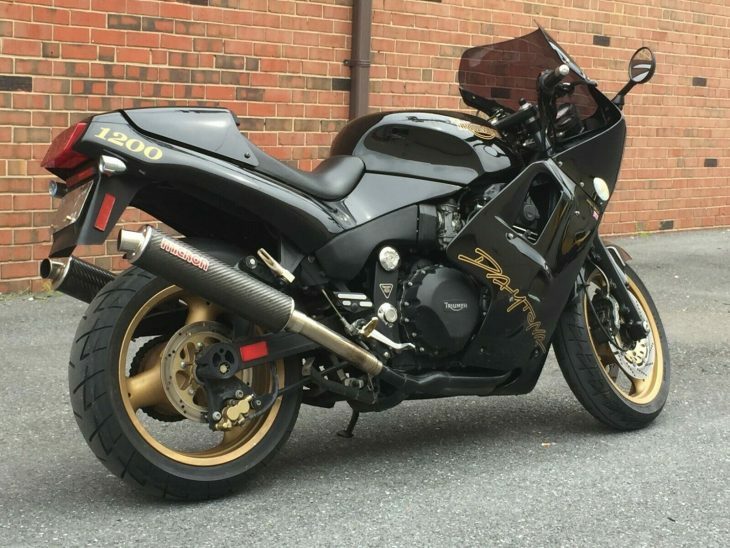 For an exotic sportbike, the 999cc parallel-twin that powers the 1000S is an odd choice, as is the relatively pointless cassette-style gearbox. 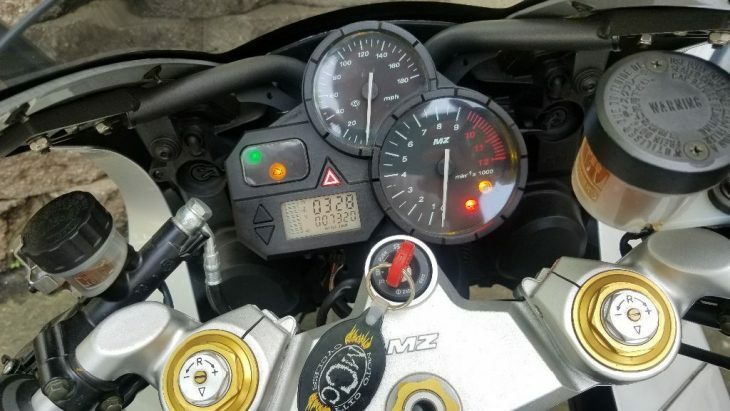 The chief benefit of a cassette gearbox is quick gearset changes to suit different tracks, and I really don’t think many people were racing these… Although maybe MZ figured it’d be easy to service higher-mileage examples? Considering the bike's more practical mission, that does make sense. 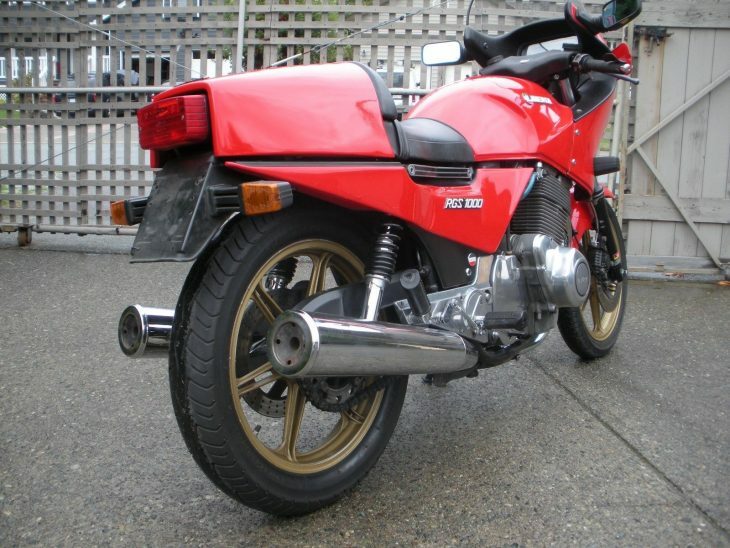 It's almost like MZ was undone by their pragmatic roots: the parallel-twin engine was easy to package and offered up the chunky midrange required for a good road bike, and the 1000S was very comfortable for such an otherwise sporty machine. 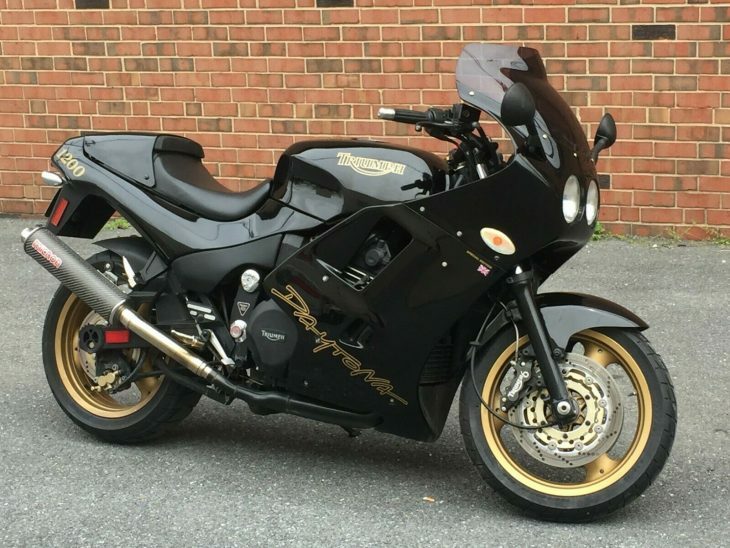 But people buying exotic sportbikes are generally looking for an experience, not a practical form of transportation. 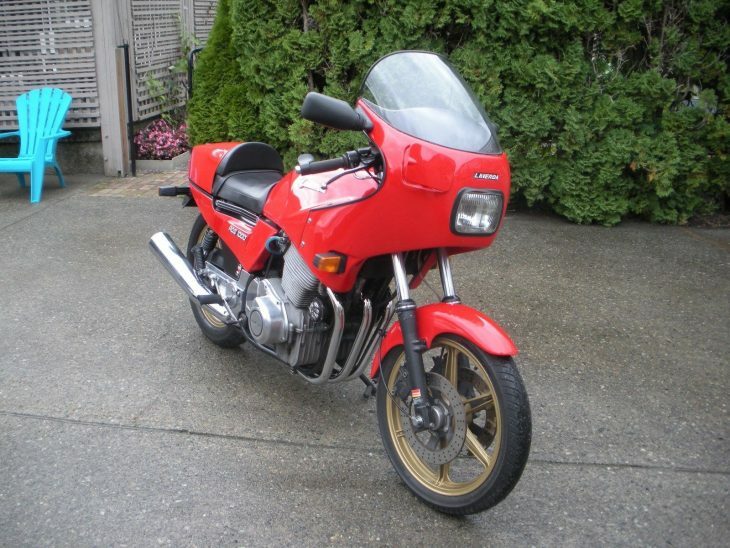 Especially here in the US, they usually have several other bikes for that job, and there's no real glamour or cachet surrounding the MZ name, either. Unless you're a big fan of classic motorcycle racing. 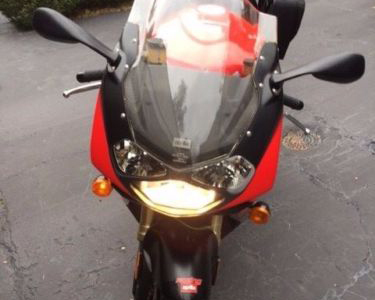 I am the original owner of this 2004/2005 MZ1000s. It has 7,320 miles on it. 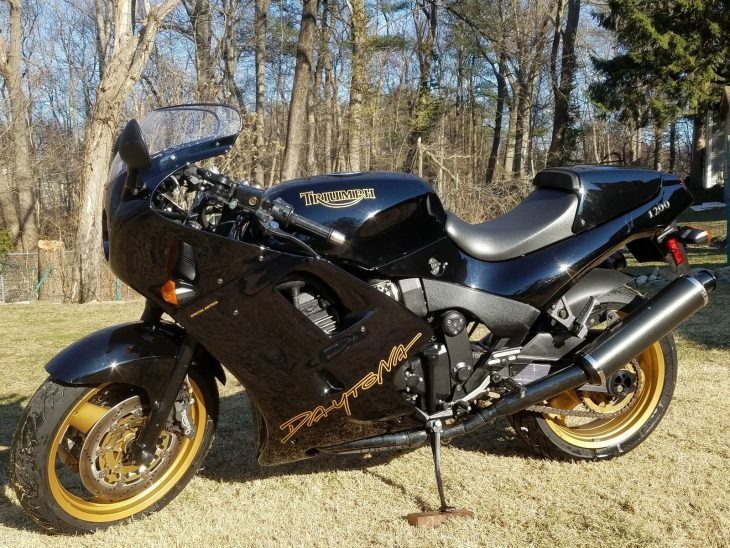 It comes with the owners manual, warranty book, most of the on-board tool kit, Sebring exhaust, lever upgrades, passenger seat eliminator (AKA hocker), Mototeknic frame sliders, power commander, O2 eliminator, Vortex stand. It comes with the original parts and an additional front fairing. Truly an awesome bike I will miss forever. Cervical radiculopathy has kept me from riding. It's time to part with it. I purchased all the parts in Germany on a NATO training mission. I found the receipt. That's $1200+ in additional parts. Any questions please ask. 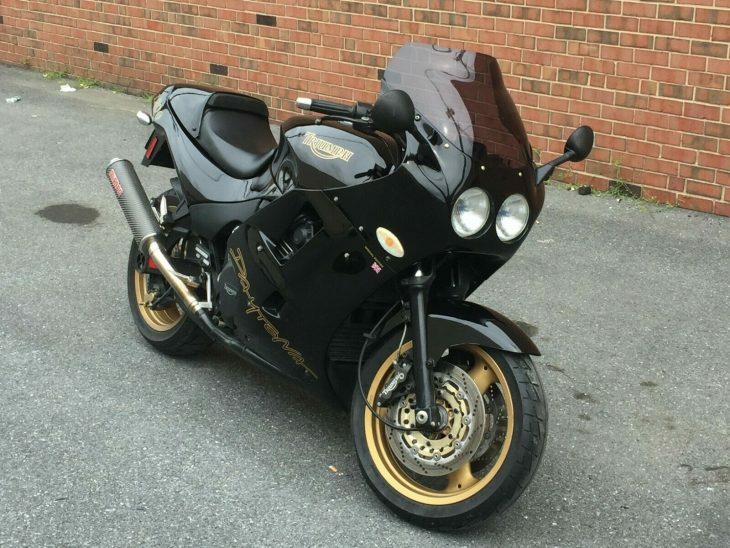 I love me some brutally uncomfortable sportbikes, even with my aging joints. You have to suffer for art, after all... But if you can have your cake and eat it too, why not? I do understand why the 1000S wasn't a big success. Or any success really: production was discontinued after just three years. But although they were considered to be too pricey when new, they seem to be pretty good used value. Although this one might be a bit too pricey, with no takers yet at the $6,800 Starting Bid. 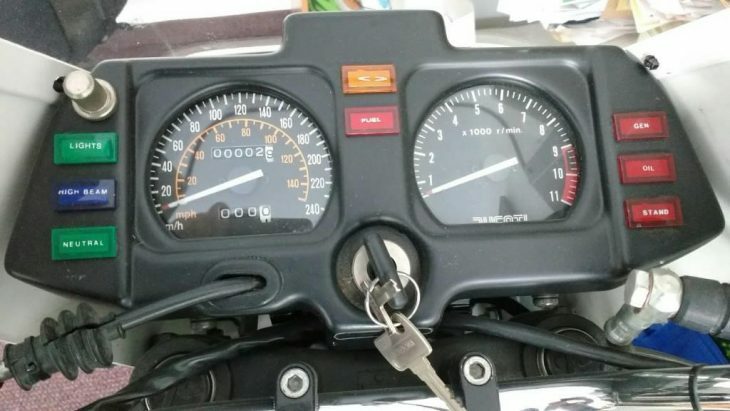 Still, the 1000S has distinctive looks, good performance, and even solid reliability: put concerns about servicing the bike aside, since parts supposedly aren’t difficult to source and the bike is easy to work on, even for mechanics not particularly familiar with the brand. I'm a big fan of "budget exotica" mainly because I'm on a budget and I like exotica. 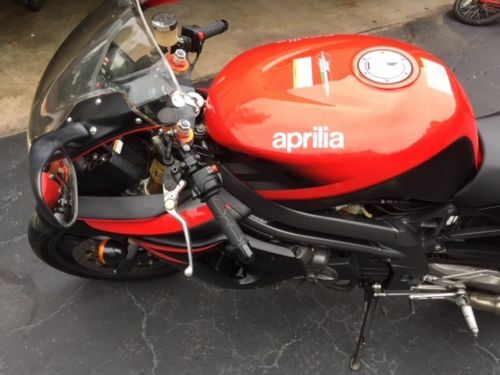 First generation Speed Triples and Daytonas, Brutales, and Monsters are all really affordable ways to get a rare performance motorcycle for very few dollars, relatively speaking, but if you want a single motorcycle that can do just about every job, Aprilia's Falco is definitely worth a look. The Falco was intended to be the more practical, sport-touring version of Aprilia's race-replica RSV Mille. 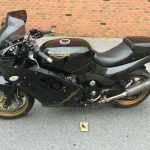 But especially here in the US, where our riders are into sportbikes or cruisers, with little interest in what lies between, these are nearly impossible to find in any condition, especially with something with such low mileage. This one probably hasn't even seen its first major service yet! 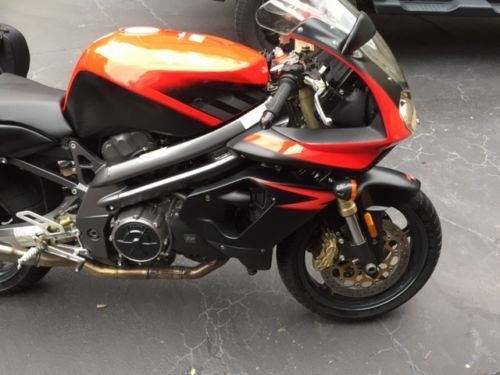 In typical Italian style, the Falco leans pretty hard to the "sport" end of the sport-touring continuum, with a half-fairing makes the bike look much leaner than the bulbous RSV superbike and suggests a sort of "futuristic 900SS," a bike that would have been a direct competitor at the time. The frame has a stylized trellis look to it, a departure from the very solid beam frame of the RSV, and the riding position is racy without being cripplingly compact. 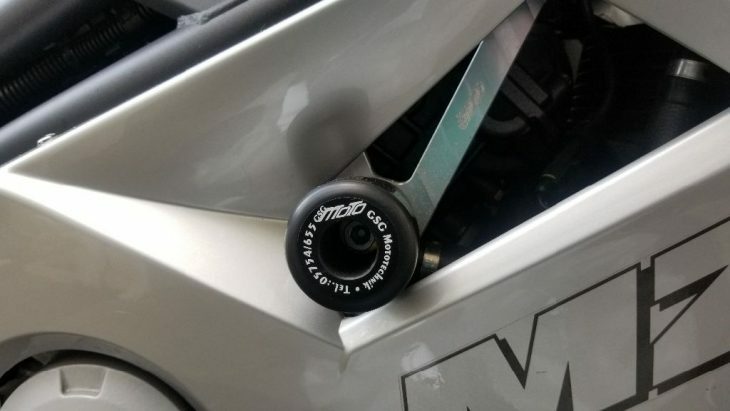 The Mille and the Falco do share a powerplant though, which is no bad thing: the liquid-cooled 998cc Rotax 60° v-twin may be "detuned" in this application, but the quoted 118hp isn't all that much down from the RSV's 128hp and the 162mph top speed isn't very far off either. Reviews at the time were very positive, but the bike really didn't sell well. A shame since it's a very competent package, but it's great for modern buyers on a budget looking for something cool and relatively reliable. 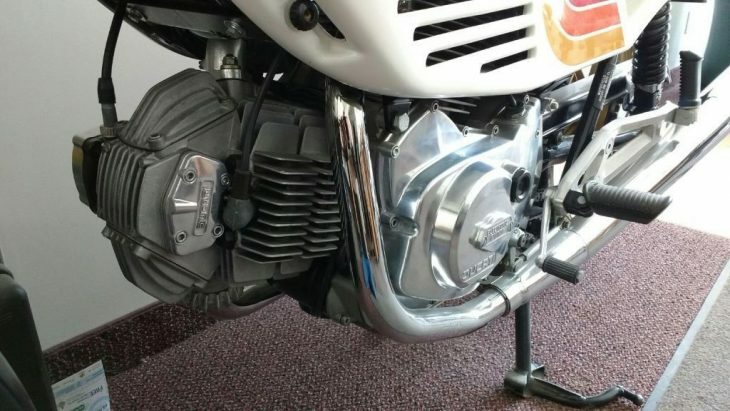 Finding a local dealer might be an issue, but the Rotax engine is considered to be very durable and much lower-maintenance than the Ducati twin of the period. 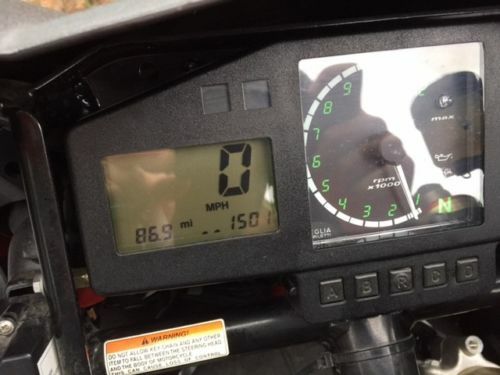 This may be the only 2003 Aprilia with less than 1550 miles. This bike has been garaged kept and serviced pursuant to schedule since it was built. Powered by a liquid-cooled Rotax 998 cc 60° V-twin engine, the Falco's 118 hp is powerful (top speed 162 mph). The Falco is fuel injected with dual exhaust. The Falco has a rare look with its half-fairing and twin-beam alloy frame. The gold twin Brembo 320 mm semi-floating front brake discs and oversize back tire are sharp. 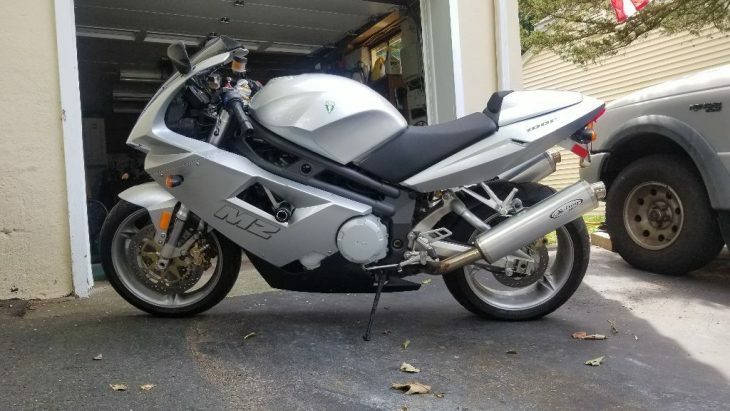 I’m only selling it because I’m moving, and I no longer can ride it. There are a few minor scratches (documented in phots), but the bike has never been dropped or put down. The bike needs nothing and is ready to ride, as I just had a full service performed. I’ve literally treated this Falco like a piece of art and have never had a problem with it. Buyer assumes shipping costs. You can pick up, or I will help you arrange shipping. The Falco is in St. Louis, Missouri. "No longer can ride it"? 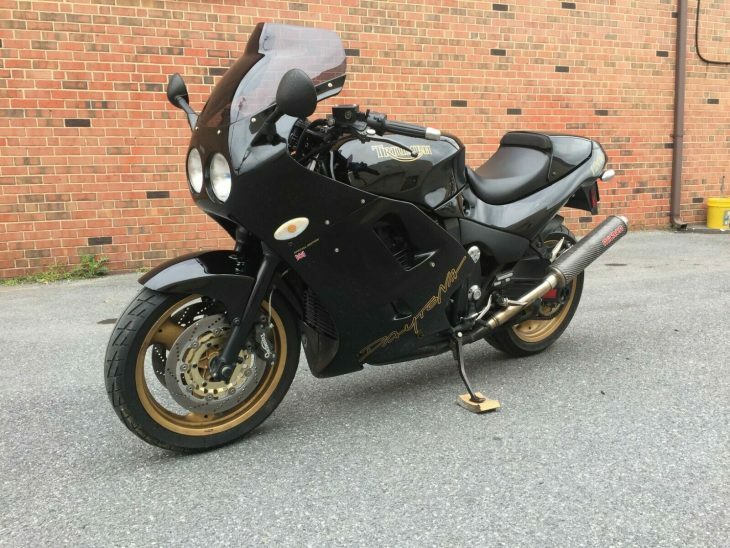 With just over 1,500 miles on it, it seems like the seller pretty much never had time to ride it! 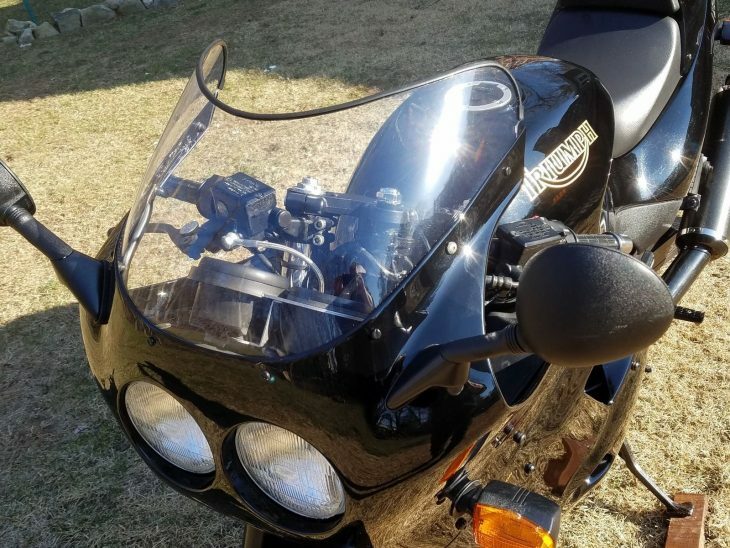 Well, the seller's loss is your gain, and it sounds like it's been carefully maintained ready to roll instead of just sitting, collecting dust. While a Falco isn't cutting edge now, and doesn't offer a modern bike's electronic bells and whistles, the performance-to-dollar ratio here is pretty much off the charts, offering big v-twin sound and torque, good handling, and striking, if somewhat sterile looks in a reliable package, and likely some good parts interchangeability with the hotter RSV model, all for the seller's $4,199 Buy It Now price. Motorcycling history is littered with storied nameplates undone by economic changes, and many have tried and failed to resurrect those brands, but one of the enduring success stories continues to be Triumph. 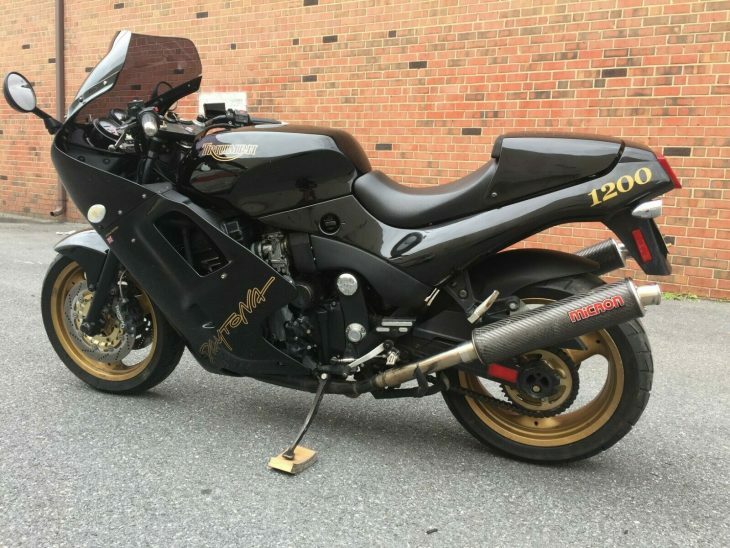 Sunk by a changing economy, a changing market, and an inability to compete with the reliable, affordable, high-performance bikes from Japan, Triumph's long, slow slide into irrelevance was over by 1983. John Bloor originally purchased the defunct Triumph facility with an eye to razing it and building residences, but somewhere along the line, a bit of nationalistic inspiration struck him and he instead decided to revive the brand. Attempts to compete head-on with sportbikes from Japan a second time were always going to end in failure, so Triumph wisely chose to focus on quality and heritage instead of outright performance. That's not to say that bikes like today's Triumph Daytona 1200SE didn't have brawn to match their good looks, but that performance was never going be as focused or as inexpensive as it would be with something like a GSX-R1100. 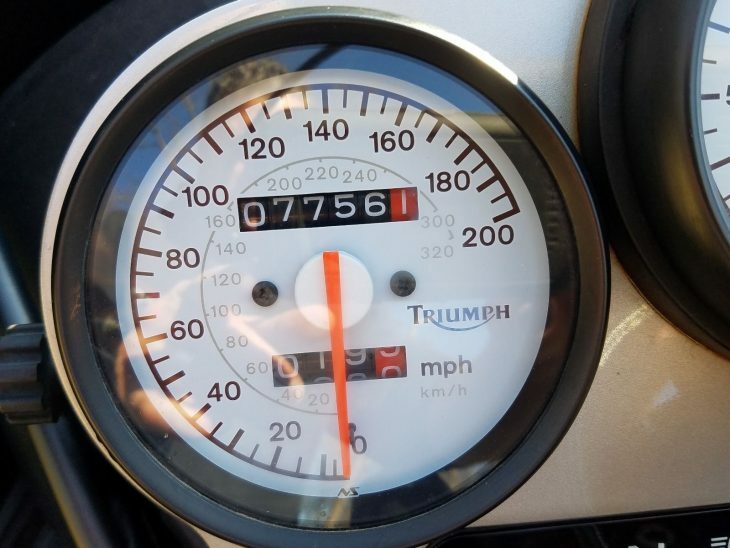 Instead, Triumph went for a different customer, one more concerned with quality and class than top-speed numbers or lap times. The biggest limitation to ultimate performance was Triumph's decision to go with modular design based around a spine frame. That same basic frame and two engines, a triple or an inline four, could be wrapped in different bodywork to create an entire range of motorcycles and quickly add models to react to market changes, which gave versatility for a fairly low cost. Unfortunately, it meant a bit of a jack-of-all-trades quality, with too much weight carried too high for optimal handling. 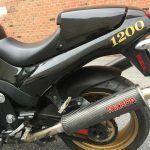 Nothing wrong in the engine room however: 147 horsepower may not sound all that impressive, considering the 1180cc engine, but it was one of the most powerful motorcycles available at the time and a claimed 85 lbs-ft of torque is BMW S1000RR territory. So the big Daytona can move out smartly and, most importantly, can sustain that 159mph top speed seemingly all day long, with plenty of wind protection from the big fairing and all-day ergonomics. Styling is always subjective, but I think these look pretty cool, with that dual-round headlamp endurance racing style, but without the aggression or wild graphics of a 90s Japanese sportbike. The monochromatic color treatment, especially the black seen here, makes it look classy and elegant. I think they've aged well and prices mean you can have a classic road-burner with all-day comfort for relative peanuts. Personally, I'd prefer one of the hot-rod three-cylinder Super III models, but in either guise you're looking at a deceptively fast motorcycle. 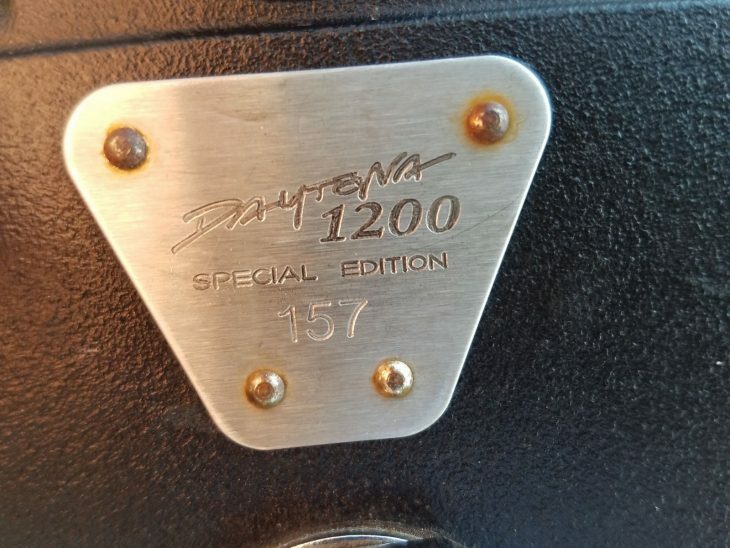 I purchased this bike three years ago to add it to the other two Daytona's I already have. 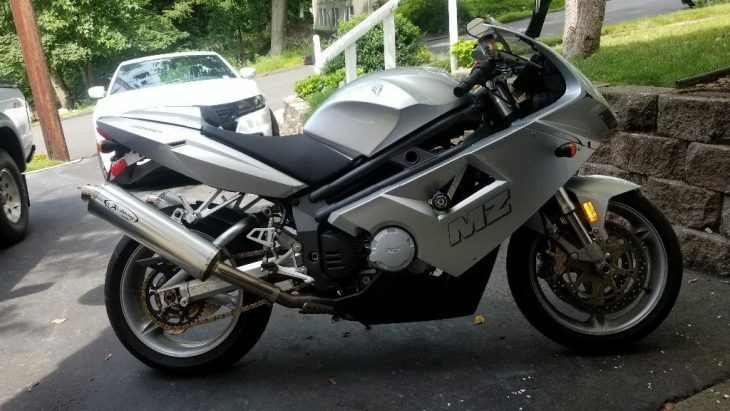 The reason for the sale is that I have my hands full with my other D-12's and the other bikes we have. So... In the three years I have owned the bike I have put less than 400 miles on the it. 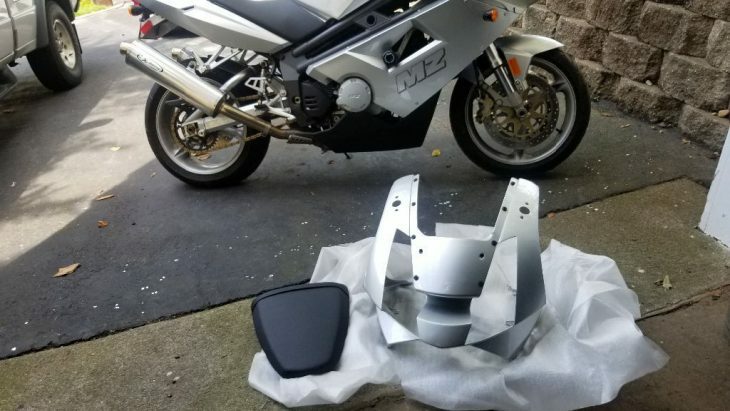 I replaced the left and right fairings as well as the front fairing, windshield, with trim, clip-ons, fork seals, tires, and battery. I am the third owner, from what I was told. I have the bike stored in my climate controlled basement since I brought it home. The bike is completely stock. 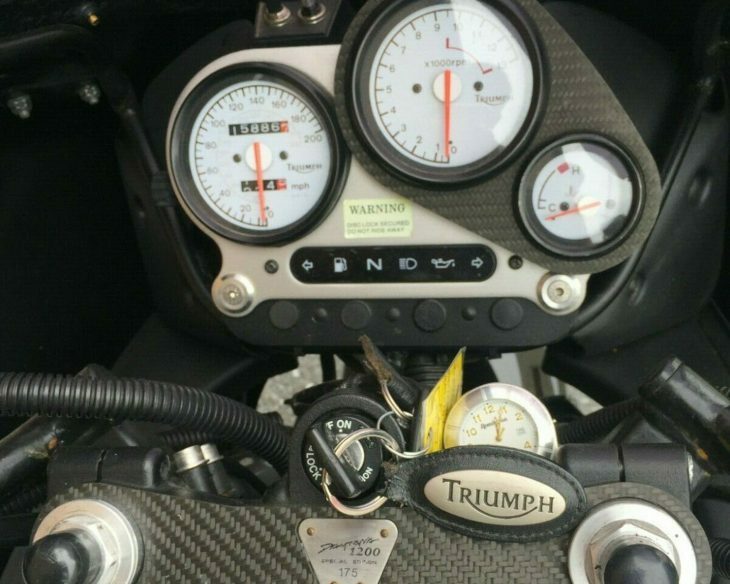 All parts used are Triumph parts. There is a very small ding on the tank. On the right side from previous owner. Also a small scratch/rub on the left side rear body work. The only thing missing is the Union Jack that gets mounted on the side fairing underneath "Special Edition". I have not located one yet. The last thing the bike needs is a carb tune. I have not done this because I wasn't riding it. I have a shop that has tuned my other D-12's that has the bikes producing 120hp and 80ft.lbs. at the rear wheel. I can have them do the work for around, $400.00, or we can discuss other options. 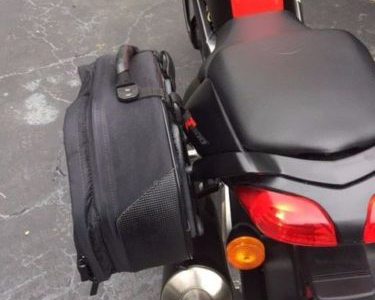 Full disclosure is something we all appreciate when shopping for a bike. 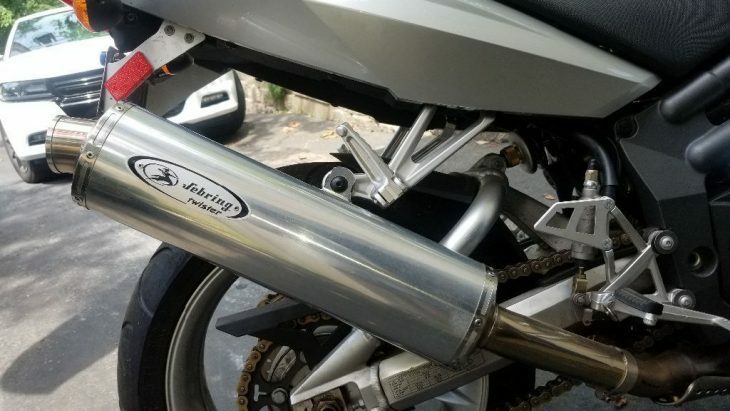 When obvious stuff is wrong but not mentioned, we bike folks think, "Hmmm... if he's not being up front with that, what else isn't he telling us?" 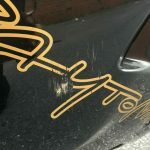 Being upfront about minor flaws suggests that, not only is the seller honest, but that they are a bit obsessive themselves. I'm not obsessive about minor flaws like the ones present here, but I sure want to buy a bike from someone who is. 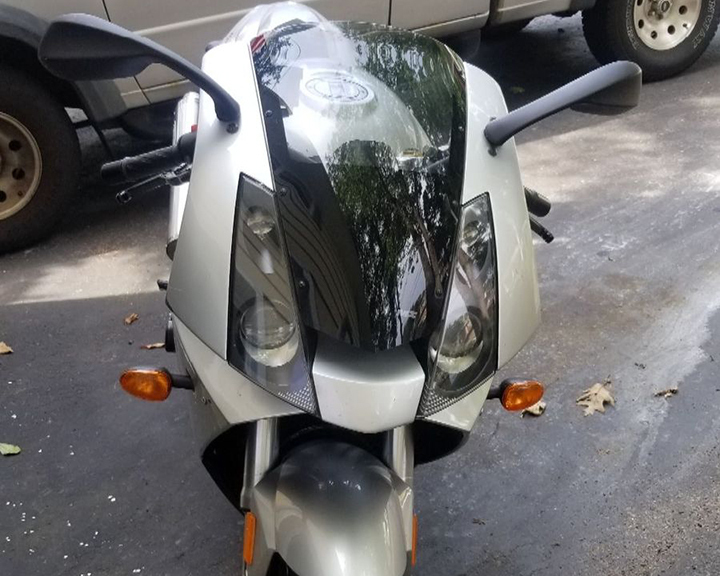 For a bike meant to cover big miles at big speeds, this one shows remarkably little wear and tear, although mileage is pretty low and the seller is asking $5,199.00 for what appears to be a very nice motorcycle. 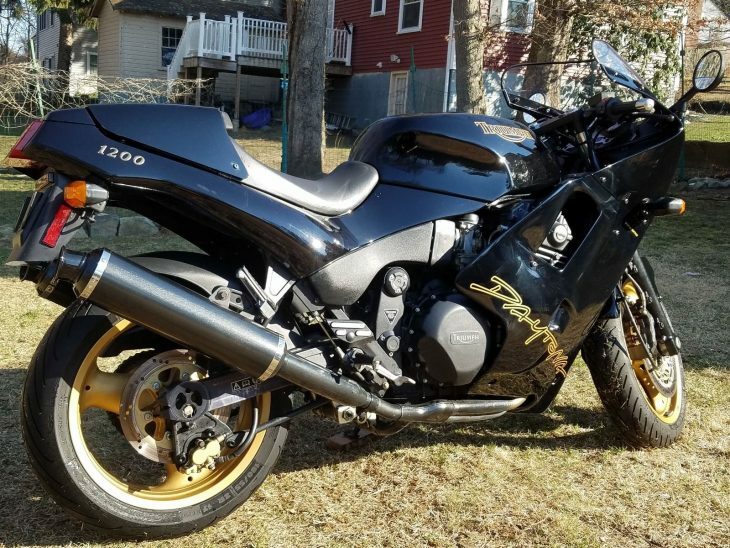 This is another bike like yesterday's VF1000R where most examples that show up for sale seem to have held up very well, considering the fact that they're 20 years old devices that go belting along highways and back roads at speed, which speaks not only to build quality, but to attentive ownership. But then again, that's exactly the kind of customer Triumph was shooting for in the first place. While the sport-touring oriented bodywork of the 600TL may not be to everyone's taste, there's nothing wrong with the components under the skin: it's motivated by the same 583cc, two-valve v-twin and five-speed gearbox as the 600SL sportbike. It uses the same as well, so handling should be excellent, although it is less stable at high speeds than its sportier brother and the top speed is lower. That funky black front fender looks like a replacement item, but period ads and photos suggest that this is in fact the original part. 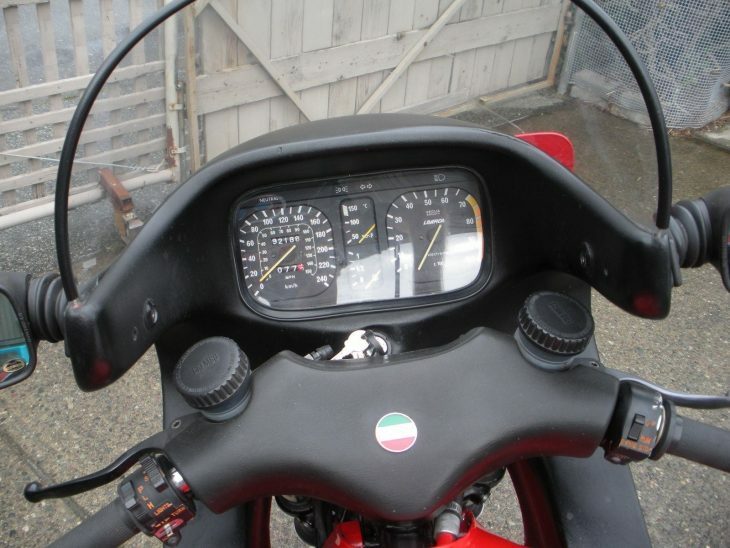 Obviously there have been a few styling misfires from Ducati over the years: their Giorgetto Giugiaro-styled 860GT was certainly not well-liked when new, although time and a general love of all things bevel-drive have seen values of even that much-maligned machine steadily increasing in value. And sportier 600SLs languished in unloved obscurity until recently, when prices have begun to rise, along with bikes like yesterday's 750 F1. Will time be as kind to the the 600TL? 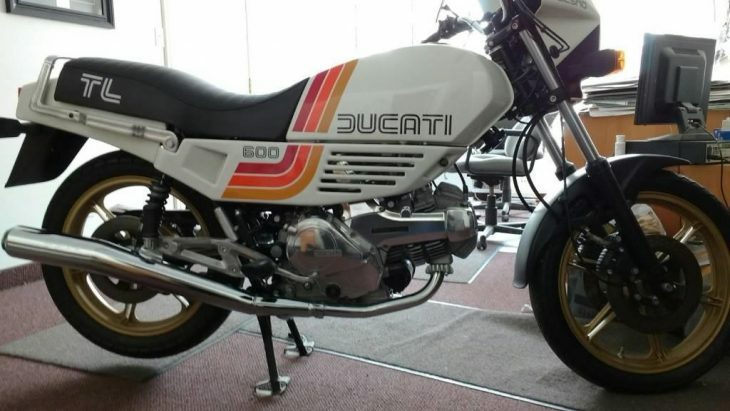 It may be too soon to tell, but this particular bike has virtually no miles on it and is basically a museum-piece, so it might be a good place to start for weird Ducati speculators. 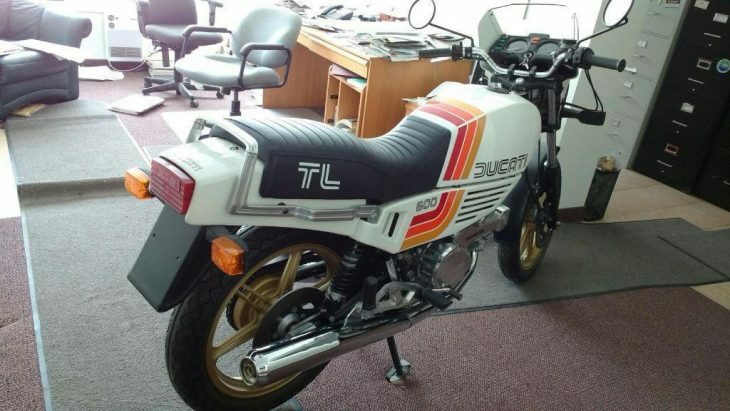 This is a brand new 1982 600TL. It has 2.9 miles on it. It comes with book, tools and parts manual. 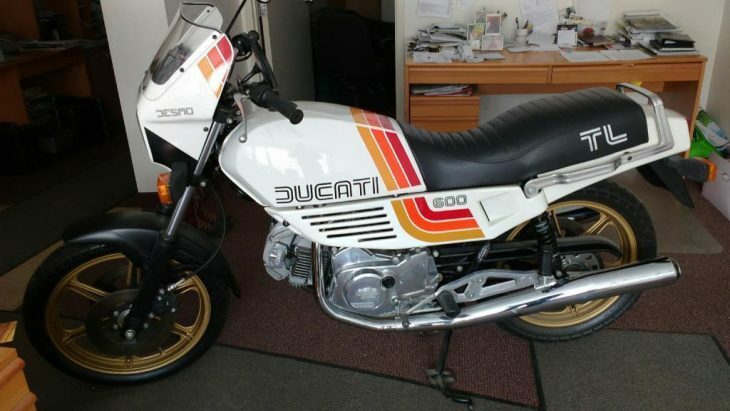 I bought this bike from the stocking Ducati dealer in Ohio. He told me that in 1982 30 600TL came to the US and that this is one of them. The bike has never been driven, the battery has never had battery acid in it. It has a Conti muffler, 36 Din Delorto carbs. This bike has all custom papers and duty paid for Canada, but the US title is still on hand. 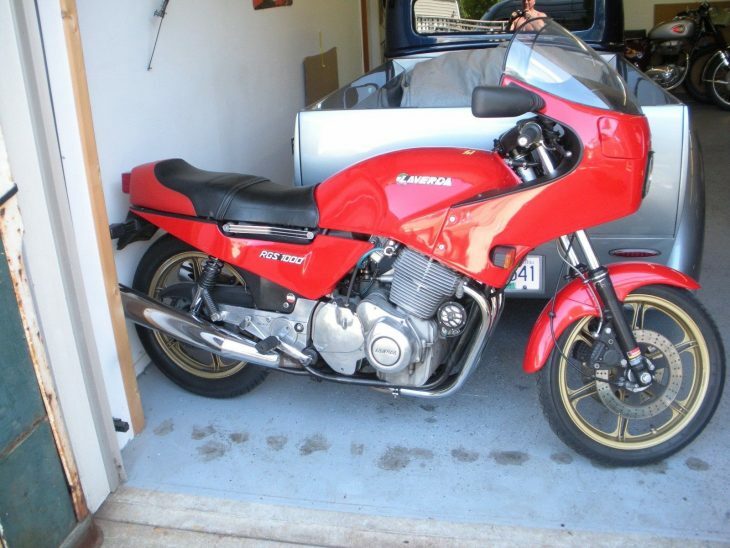 This bike is extremely rare, it may be the only new one in the world! 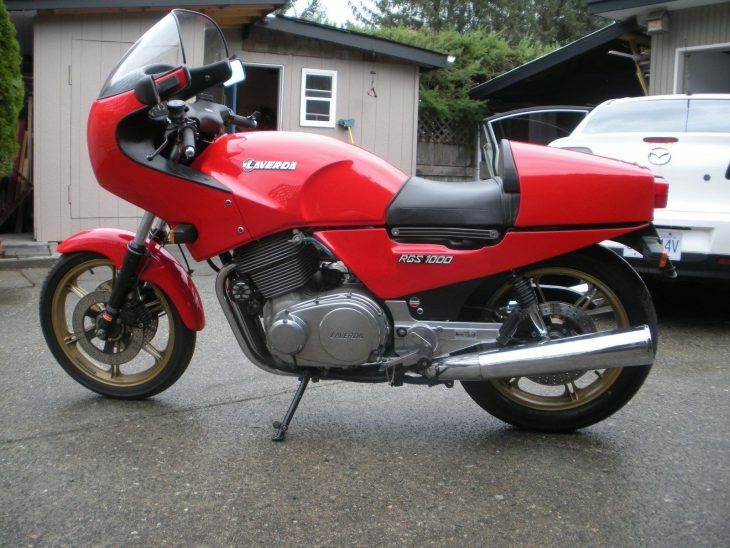 Normally rare, zero-mile bikes are a recipe for a static display. But in this case, all the parts you'd need to get it roadworthy should be readily available. You could probably even slot in a much larger, more powerful version of the venerable L-twin with a bit of work... The starting bid is set at $8,250 with no takers as yet although there is still plenty of time left on the auction. I've never seen one for sale before, and it's very rare here in the USA, but that doesn't necessarily mean that it'll ever really be worth all that much to collectors, except as an oddity.